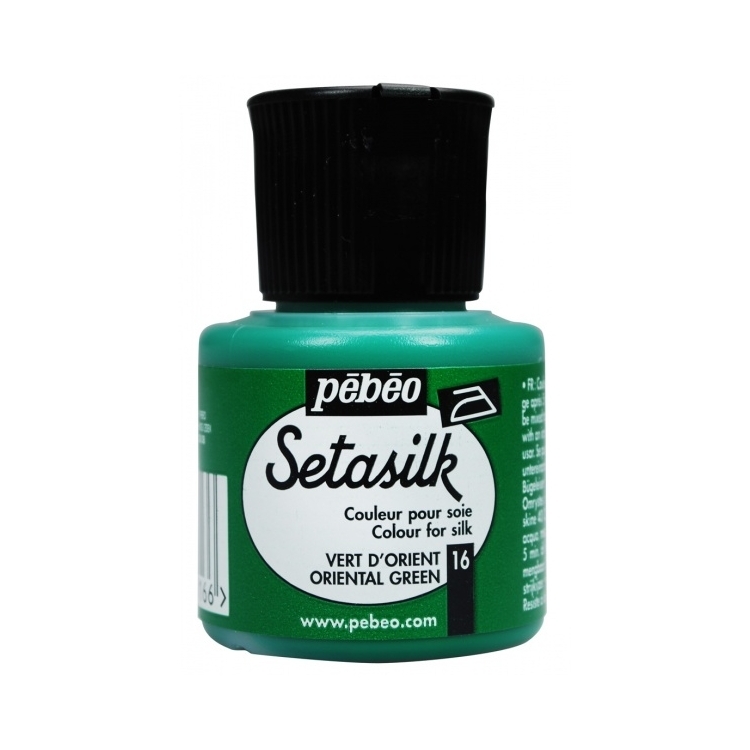 Setasilk is water based colour for all types of silk. Fixed by ironing. 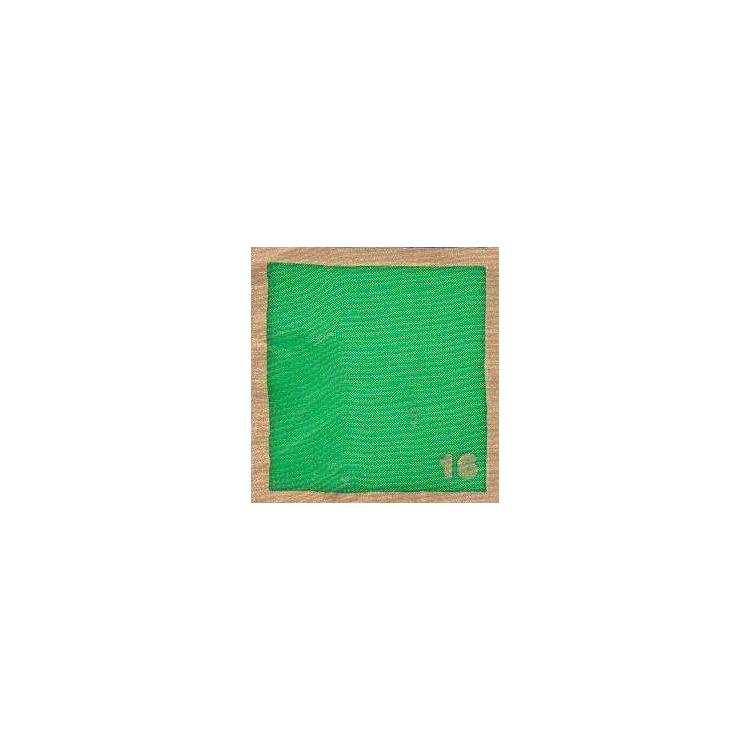 Can be used for all silk painting techniques: outlining, salt dusting, watercolour on dry or damp silk, crackling wax or drawing wax batik, mahaju... They keep the silk's flexibility and offer a rich, refined and very bright palette. TO FIX: Press on the reverse side of the fabric for 5 minutes using an iron set on the “cotton” position. CARING: (decorated fabrics) : 48 hours after fixing, colours resist handwashing and dry cleaning BRUSHES : Soft and very thin, with a high retention capacity, the pure squirrel brushes are ideal for painting on silk. From a modern technology, the Aqua range brushes are made from synthetic fibres, are soft and durable, can match the performance of sable at the best price. For backgorunds and washes, foam brushes are the most practical. PACKAGING : 45ml bottle with drop cap - all colours. 250ml bottle - all colours. 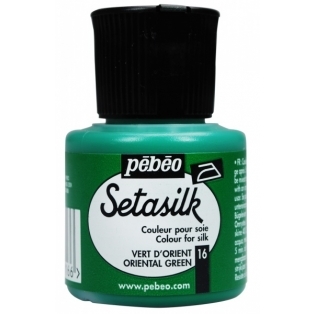 Setasilk is used as a traditional colour and used on all types of silk : twill, pongee, crêpe de chine, georgette, damask...Very easy to use, fixed by simply ironing, Setasilk colours can be used for all silk painting techniques : outlining, salt dusting, watercolour on dry or damp silk, crackling wax or drawing wax batik, mahaju... They keep the silk's flexibility and offer a rich, refined and very bright palette.